As promised after drinking the ‘Naughty’ Mocha, I did go back to Simpatico to sample their ‘Nice’ Mocha. 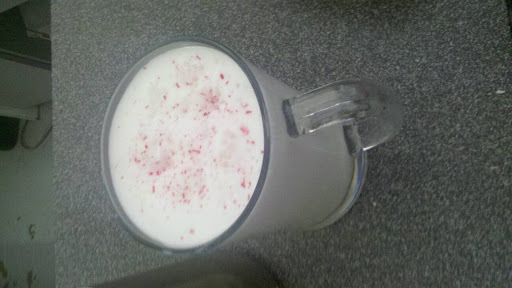 It’s a white mocha spinkled with a candy cane topping. I figure it’s called ‘nice’ because it looks more christmasy. It was a great pick me up for my otherwise cold and dreary afternoon. To conclude coffee week, we are looking for one more place to go. Any suggestions?